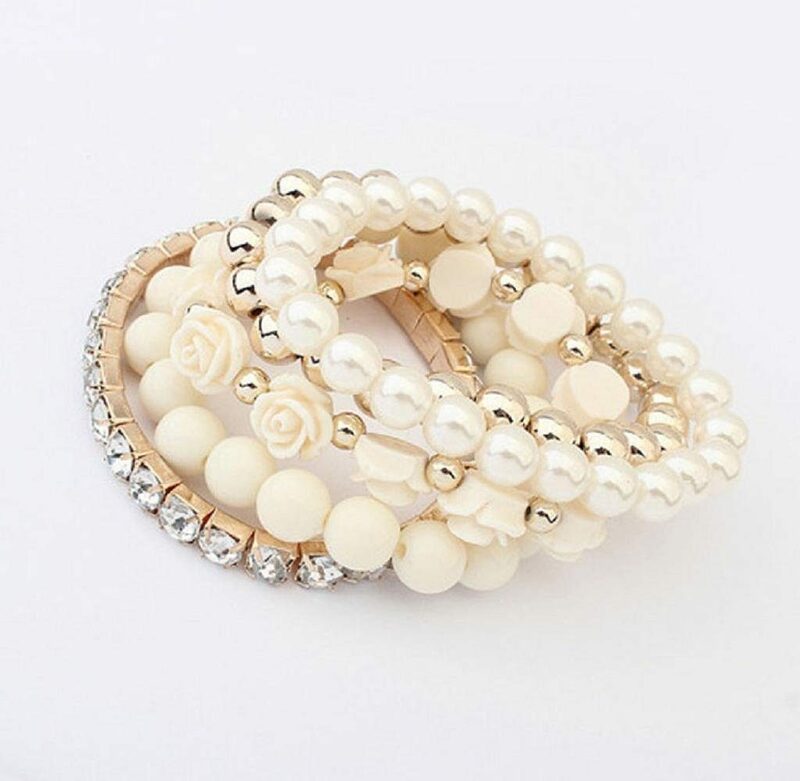 Rose, Pearl and Rhinestone Bracelet Only $3.59! You are here: Home / Great Deals / Amazon Deals / Rose, Pearl and Rhinestone Bracelet Only $3.59! Isn’t this bracelet beautiful? This would be great for summer weddings! Get this Rose, Pearl and Rhinestone Bracelet for only $2.59 plus $1 shipping on Amazon!